In our examination of the Godlike Production list of issues presented by the person identified as Jack Sprat, the first word at the top of the list is the thing that is on nearly everyone’s mind, everywhere, this year: Weather. Indeed, the weather all over the world has gone into extreme abnormal mode. Weather forecasters are no longer attempting to avoid references to global warming as the cause or the new term, weather change. The only argument remains the old political question; whether the heating is a natural phenomenon or whether it has been caused by the burning of carbon fuels. The powerful coal and oil corporations would like to have us believe the increase in carbon dioxide in the atmosphere and the rise in methane gas escaping from the heating seas and melting ice caps have nothing to do with the trapping of solar heat. Of course to admit that the gasoline we are burning in our cars, the diesel fuel used in trucks, trains and ships, the jet fuel burned in our aircraft, and the coal that powers most of the world electric generating plants means that to stop the onslaught of deadly storms, droughts, floods and extreme seasonal temperature swings, we must give up the comfortable lifestyle we are presently enjoying. We must either shift quickly to alternative green sources of energy or ask the Amish to teach us how to return to the horse and buggy days. Imagine, for a moment, the number of horses and the volume of feed it would take for Americans to just get to and from their jobs, not calculating the special trips to the grocery store or to take the kids to special school events. Imagine all of the manure that would cover the roadways. And if we can no longer grow enough grain to feed ourselves, how will be produce the hay and oats needed to keep all the horses operating? That is obviously not an option. It does not take a rocket scientist to figure out that solar, wind and water power are the natural solutions to kick start a way out of the mess we have created for ourselves. This is going to call for big investments in solar cell farms on open deserts, wind generators where the natural winds blow and hydro-electric power plants that utilize river currents and ocean tides. President Barack Obama came into power with plans to call for federal expenditures on new high speed railway systems and other public transit systems designed to move people around efficiently and ease the extreme automobile and truck traffic jams on the nation’s highways. He wanted to launch a massive rebuilding of the nation’s crumbling infrastructure and move the nation into a shift to green energy. But the collapse of the housing bubble, the frantic decision by the outgoing Bush Administration to bail the big banks out of a looming financial collapse, and the massive layoffs by millions of American workers helped put the brakes on everything Mr. Obama had hoped to accomplish. In addition to these issues, a frustrated voting public stripped Mr. Obama of his liberal Democratic base in the two houses, thus creating the formula for internal political warfare. Now we are heading for a new presidential election after seven years of suffering from the most inactive government in American history. The best that Mr. Obama was able to pull off was a watered-down version of a national health care plan that falls far short of the people’s needs. He recently reached a mutual agreement with China that calls for caps on carbon emissions in both China and the United States. But it will be up to the balking Congress to help the U.S. live up to this commitment. So now as the cars, trucks, aircraft, ships and trains continue to spew carbon gasses, and electric power plants belch black coal smoke from their chimneys, Americans are suffering the warmest and strangest weather patterns in recorded history. 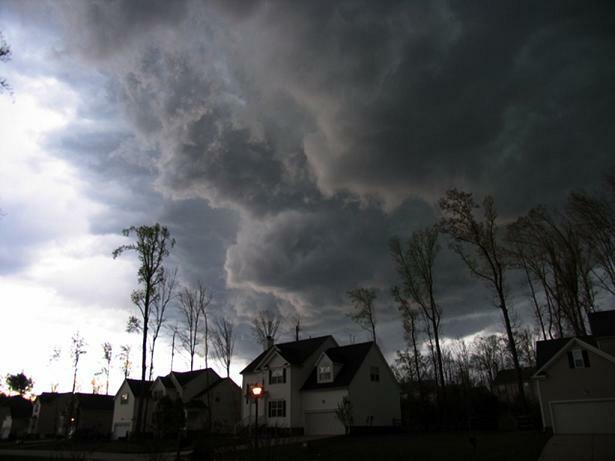 When rain falls it comes as violent storms, with dangerous lightning, fierce winds, damaging hail, tornados or hurricane-force straight-line winds that topple trees, utility poles, and tear roofs from buildings. The rains are so harsh they flood the landscape. Before the summer arrived, the nation suffered one of the harshest winters in years. The snow storms that developed were severe, stranding thousands in their homes and leaving millions without power. Normal snowfall in the mountains, which create natural run-off for farm operations in the valleys, did not happen. What can we expect in the looming winters ahead? Similar weather events are occurring all around the world. The situation is so critical that some are questioning whether enough food can be produced to feel the people. The water level in lakes and streams has dropped so low that normal barge and river traffic has been hampered. The water has become so warm that fish are dying by the thousands. Vegetable and fruit farms are struggling in the west to get enough water to survive. Yes, Mr. Sprat, the weather is indeed a major issue.